Organic impurities originating from the decomposition of addition agents, solution dragin, or the leaching of tank linings and racks can embrittle the copper deposit and affect the deposit's appearance and mechanical properties. A batch carbon treatment, Table VI, followed by filtration or continuous carbon filtration will remove most organics from the bath. 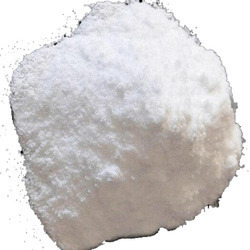 We are offering Ammonium Fluoborate to our clients. Our range of ammonium fluoborate are available in different compositions to meet the requirement of diverse industries. These are safe in use and can be customized in terms of composition as per the requirement of our customers. Moreover, our range is offered at competitive prices. We are instrumental in offering a broad gamut of Ammonium Fluoborate (NH4Bf4) to our valued clients. These chemicals are made accessible in different compositions in order to cater to the requirements of several industries. Our chemicals are safe to use and are carefully packed using finest quality packaging material.